Alexander L. Chapman, PhD, R.Psych, Professor and Clinical Science Area Coordinator in the Department of Psychology at Simon Fraser University (SFU), is a Registered Psychologist and the President of the DBT Centre of Vancouver. Dr. Chapman received his B.A. (1996) from the University of British Columbia and his M.S. (2000) and Ph.D. (2003) in clinical psychology from Idaho State University, following an internship at Duke University Medical Center. He completed a two-year post-doctoral fellowship with Dr. Marsha Linehan (founder of Dialectical Behaviour Therapy) at the University of Washington. Dr. Chapman directs the Personality and Emotion Research Laboratory at SFU, where he studies the role of emotion regulation in BPD, self-harm, impulsivity, and other behavioral problems. He has published numerous scientific articles and chapters on these and other topics and has given many scientific conference presentations on his research. He is a PI on two large Canadian Institute of Health Research funded grants for multi-site studies, one of which investigates the effects of an abbreviated (6 month) versus a standard (12 month) course of Dialectical Behaviour Therapy. Dr. Chapman also is on the editorial board for Personality Disorder: Theory, Research & Treatment, and Journal of Personality Disorders, and Behavior Therapy, where he was designated Distinguished Reviewer for his contributions. Dr. Chapman is a Fellow of the Association for Behavioral and Cognitive Therapies (ABCT) and the Canadian Association for Cognitive and Behavioural Therapies (CACBT). He also serves on the Credentialing Committee of the CACBT. Dr. Chapman is a DBT Trainer and Consultant with Behavioral Tech, LLC. He was board certified in DBT in the first cohort of certified clinicians by the Linehan Board of Certification and also is board certified in CBT by the Canadian Association of Cognitive and Behavioural Therapies. Dr. Chapman regularly gives local, national, and international workshops and invited talks on DBT and the treatment of BPD, has consulted with and trained clinicians in Canada, the U.S., and the U.K., and trains and supervises clinical psychology students. 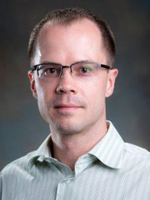 He has received the Young Investigator’s Award of the National Education Alliance for Borderline Personality Disorder (2007), the Canadian Psychological Association’s (CPA) Early Career Scientist Practitioner Award (2011), and an 8-year Career Investigator Award from the Michael Smith Foundation for Health Research. He has written/coauthored 10 books. Three of his self-help books have won the ABCT Self-Help Book Seal of Merit Award. In addition, Dr. Chapman has a black belt and is an assistant martial arts instructor. He also has been practicing zen and mindfulness for several years. Dr. Chapman enjoys cooking, hiking, skiing, and spending time with his wonderful wife and two young sons.